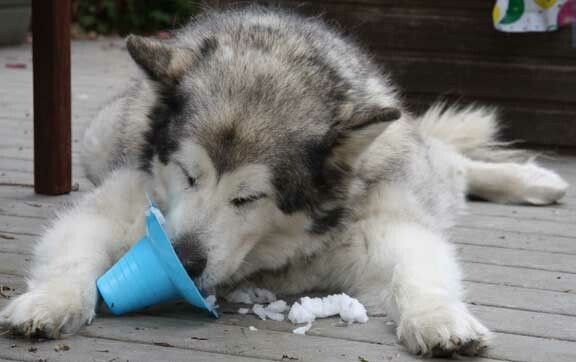 Many times, due to unforeseen circumstances, Malamutes must be given up for adoption from their homes. It may be due to death or divorce, or it may be that the dog is just not right for the person's needs. 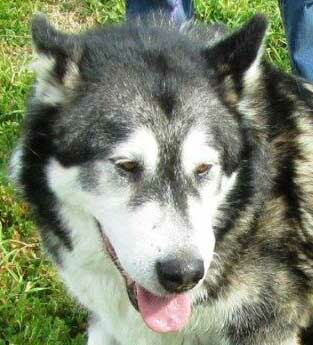 Many of these Malamutes wind up in shelters all over Northern California. 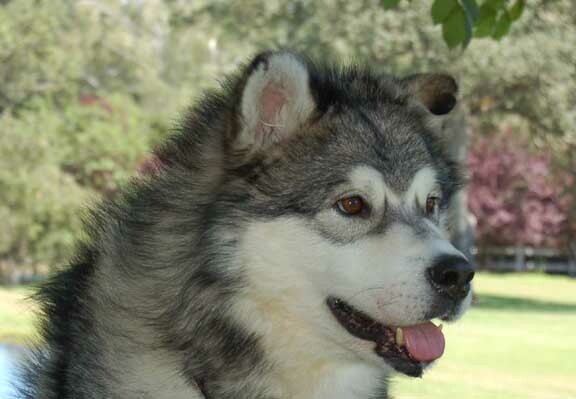 Each Malamute is evaluated for health and temperament before being placed in a home. MUSH is in URGENT need of financial assistance and foster homes. 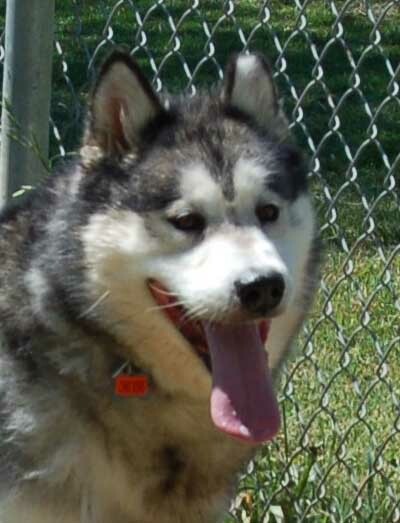 The high volume of Malamutes showing up at the shelters and being surrendered by their owners has forced us to house many of our rescues in kennels. We are trying to keep our adoption fees at a reasonable rate. Adoption fees range from $350.00 to the high end of $500.00 for puppies, but in most cases this does not cover the costs of neutering/spaying, vaccinations, or any medical care some of these rescues need and does not cover any kennel fees. Or look what else you can do to help ! Look at this face ! You may be seeing a lot more of her when this banner is hanging in a neighborhood Pet Food Express ! By making a $250 donation to MUSH through the Pet Food Express "My Mutt Program", you wi ll get a photo of your pet on a banner in a Pet Food Express store! A user contributed resource for all things dogs (specifically Northern Breeds). post events, and of course post pictures of their pups.